This Thomas Rosenthal knife was acquired through a coupon process at a local supermarket for this test. This little Thomas knife is my favorite style of knife—the Santoku, and with a 5" blade, it's quite versatile for chopping, dicing and slicing vegetables. The stainless blade is dimpled with the popular Granton edge that helps with food release. The blade has a nice thickness, making it easier to slice or chop. So we consider this knife a very useful kitchen tool. The handle is stainless and it flows smoothly into the blade, with no crevices for bacteria to hide in this is an easy knife to clean. For an economical knife, it is reasonably well balanced and offers good control. Though this is a fundamental knife design, the handle is comfortable to hold. However, this type of handle can also get pretty slippery when handling greasy or wet foods. So it's a good idea to keep the handle dry during use. As for the blade, this knife was somewhat dull upon opening, so we had to give it a proper sharpening immediately. Otherwise, this is a dull knife, which can sometimes be more dangerous than a sharp one. Once in a while, we'll come across knives that are not in a ready-to-use condition. Though frustrating, be prepared to sharpen this knife or any from this line, immediately upon purchasing. This Thomas Rosenthal Group stainless-handled knife is a popular design and very practical size for a variety of cutting/chopping tasks. It's easy to control, use and clean. 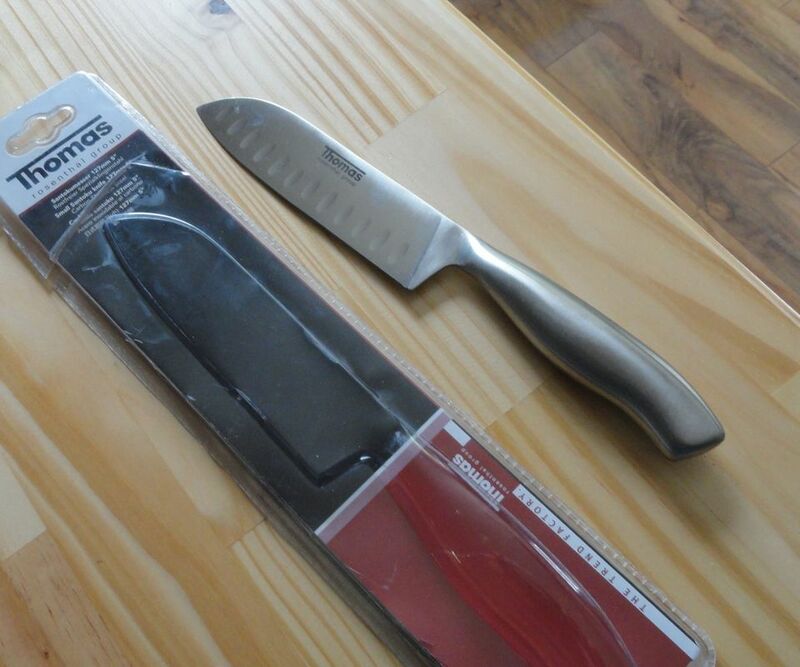 This knife does offer good value when offered for a reasonable price. For the price, it's a worthwhile buy. As for durability, we would expect the handle to last long, and the blade has enough substance to withstand several sharpenings. So it really should also last for years if it stored and sharpened properly. It's also a nice little knife for a hostess or as a thank you gift, and many stores offer coupon promotions where you can build a set of Thomas knives based on your store purchases. This is a great budget way to increase your kitchen cutlery. Though not professional in terms of blade quality, they are very useful and practical if you are prepared to sharpen them immediately. What Does a Brunoise Knife Cut Look Like?